Such a slow month for Roman bioarchaeology. As I suggested last month, I'm guessing everyone's mum for now, waiting until they have time to analyze finds and announce them. Here are your paltry links for this month. 16 June - Remains of 'End of the World' Epidemic Found in Ancient Egypt [LiveScience] Third century AD bodies found in Egypt may date to the Plague of Cyprian, which was likely smallpox or measles and killed thousands of people per day around the Roman Empire. 29 June - Gruesome Reminders of a Terrible Tragedy [The Colchester Archaeologist]. This covers some burned skeletal remains that date to the time of the Boudiccan Revolt in 61 AD. 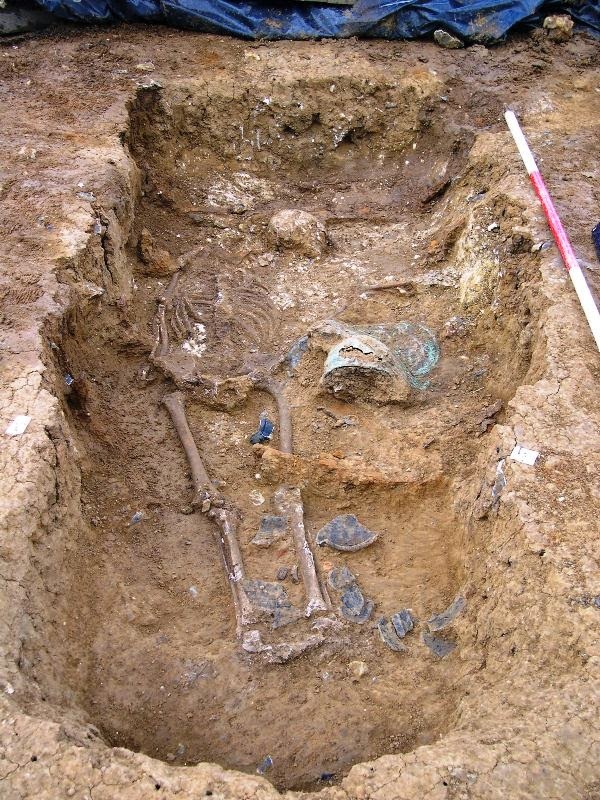 June - North Bersted Warrior Burial, Bognor Regis [Thames Valley Archaeological Services]. A late 1st c BC burial found in England dates to Julius Caesar's Gallic Wars. June - A really interesting issue of Archaeological Dialogues reintroduces the question of "romanization" and how to talk about population interaction, particularly in the Roman provinces. I found the articles fascinating, particularly since I study immigrants to Rome and look at ways they might have "acculturated" or "romanized" once there. While these articles are intriguing, almost all of them still lack a good solid anthropological perspective. And bioarchaeology. July/August - Ancient Rome's Terrorizing Toilets [Discover]. Unfortunately, this is behind a paywall, so I haven't read it.